Mike Stone - an employee of government contractor Serco - has been named as chief information officer (CIO) for the Ministry of Defence (MoD), replacing Yvonne Ferguson who left the role last week. Ferguson was appointed interim CIO of the MoD six months ago, replacing veteran predecessor John Taylor. The Guardian reported in February that Ferguson was receiving £2,000 per week in her role as a 3* MoD CIO (3* referring to her ranking in the military), making her one of the most highly paid staff in Whitehall. Ferguson was also a former CIO at Royal Mail and Transport for London. “The appointment of Yvonne Ferguson was always intended to be an interim arrangement, while we sourced a permanent candidate, " said an MoD spokesman. 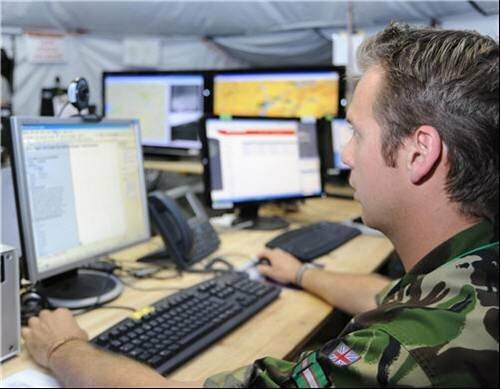 When Ferguson was appointed as CIO, the MoD also released the latest Defence ICT Strategy document, in which it called for the MoD to implement tablets and smartphones for accessing information. “The reliance on a majority of desktops, minority of laptops and relatively few handheld devices is no longer appropriate”, it stated. That said, bring your own device (BYOD) schemes are not yet suitable for the MoD, as making provisions for employees to connect personal devices to the defence network presents an “unacceptable cyber threat”. It did intend to take on board the benefits of BYOD, however, which include improvements to economics and user experience. The MoD said it would implement a choose your own device (CYOD) policy, where it will procure a range of modern devices for its employees, which will be managed in a secure way. “The MoD policy will need to adapt to enable this way of working, as encouraged through the introduction of the Government Security Classifications policy, and users will need to accept greater individual responsibility for the safe handling of information in this way,” the document stated.